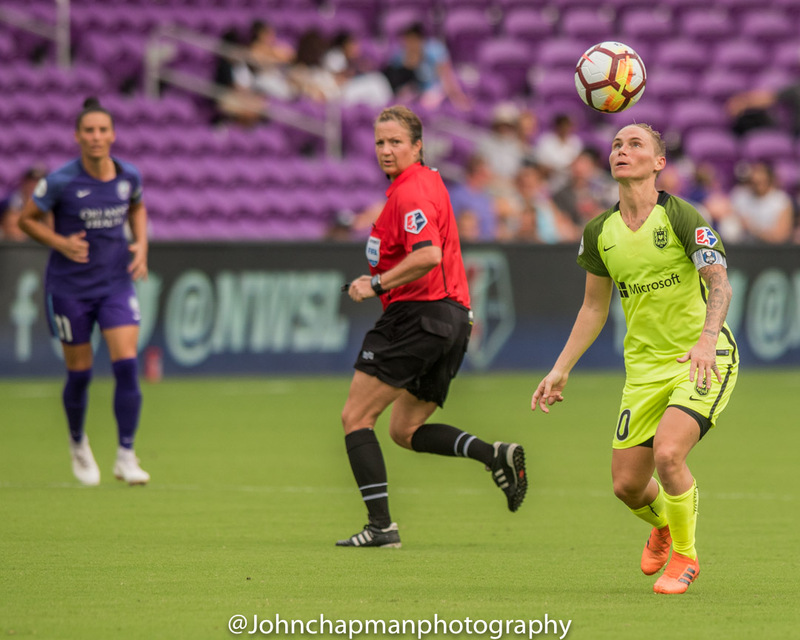 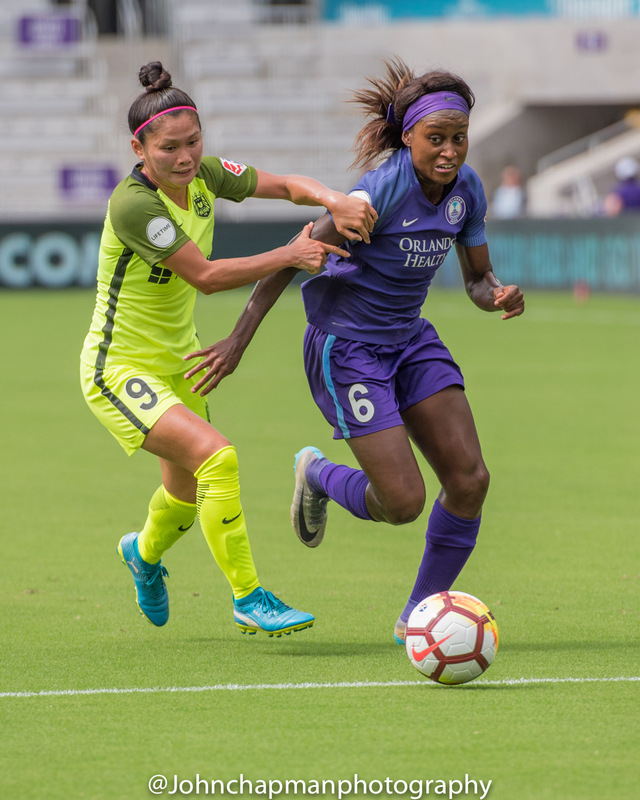 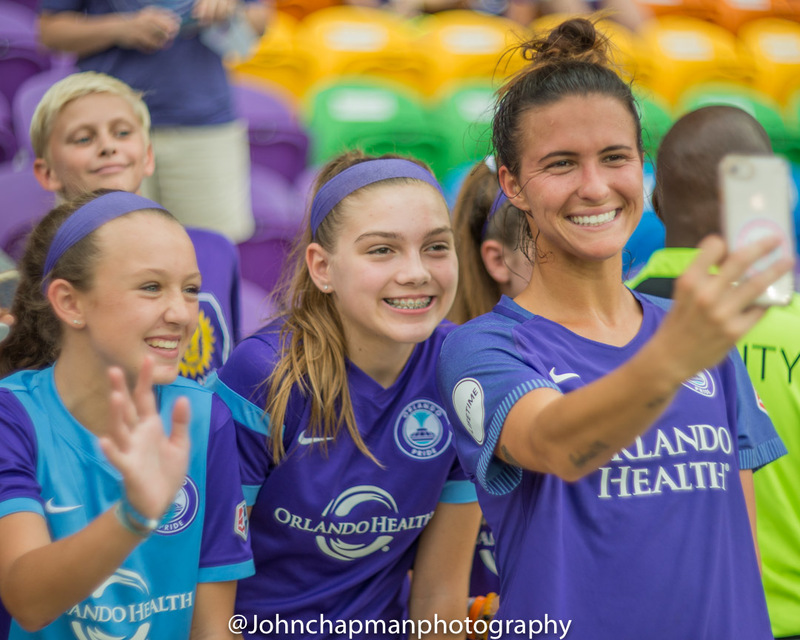 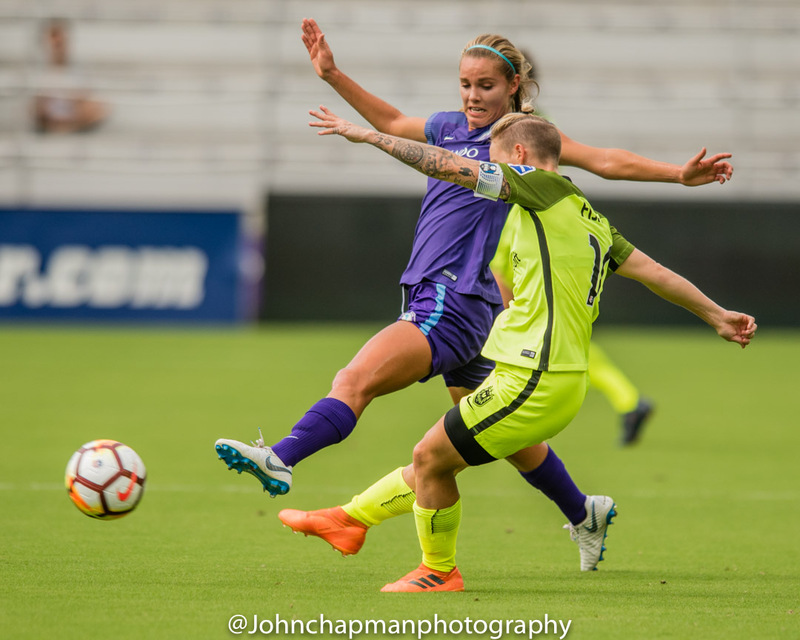 Orlando, FL – In a battle between two of the National Women’s Soccer League’s top three teams, the Orlando Pride (8-6-5, 29 points) blew a 1-0 lead midway through the second half and settled for a 1-1 draw with Seattle Reign (8-4-6, 30 points) Saturday afternoon at Orlando City Stadium. 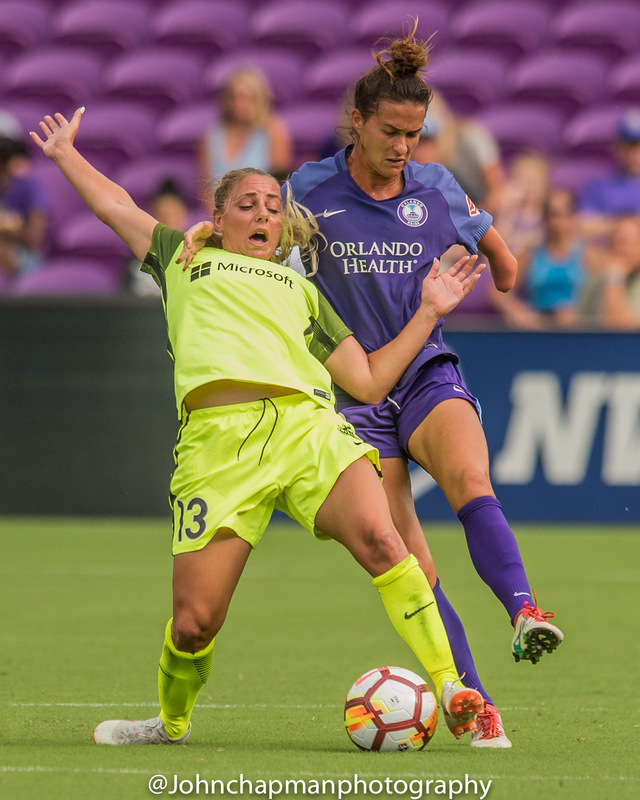 It was the teams’ third draw against each other this season. 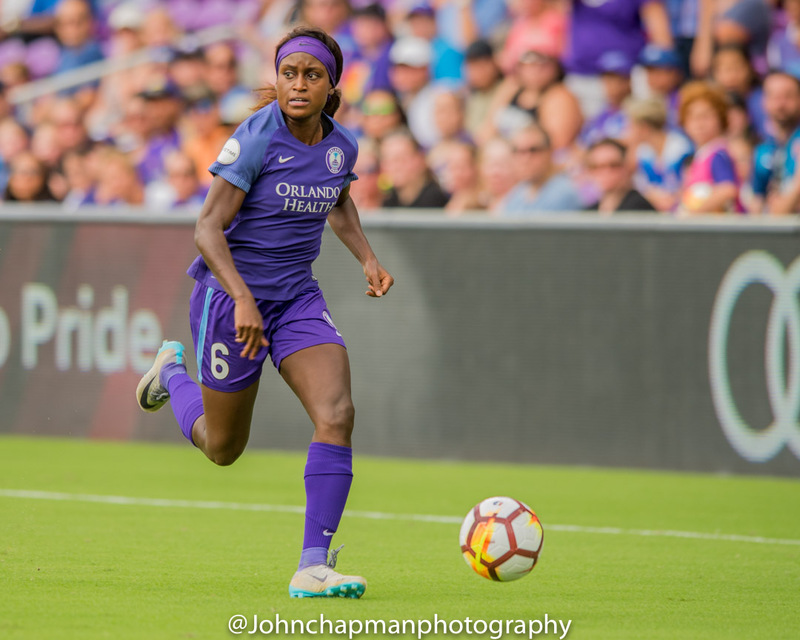 After controlling the opening 45 minutes, the Pride took a 1-0 lead into halftime courtesy of Toni Pressley. 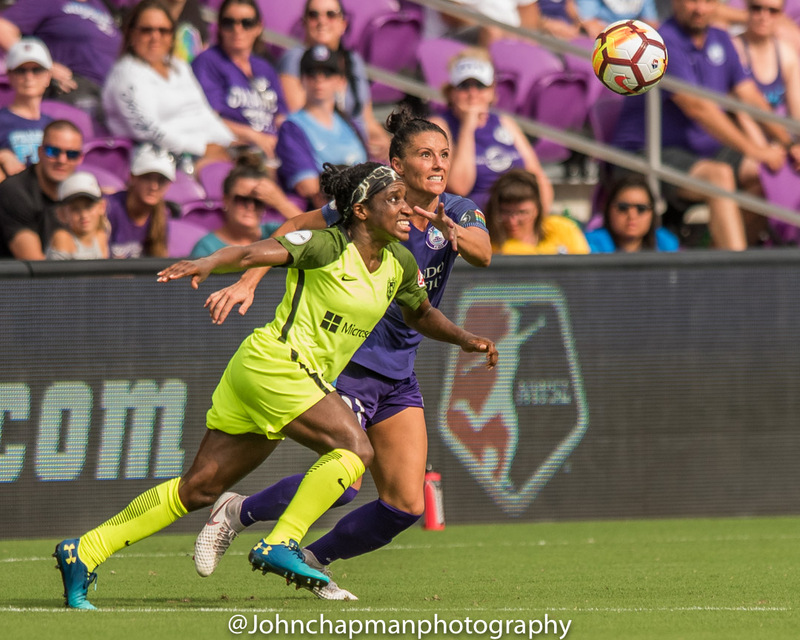 In her second straight start, the defender pounced on a loose ball in the penalty area and fired it past Reign goalkeeper Lydia Williams. 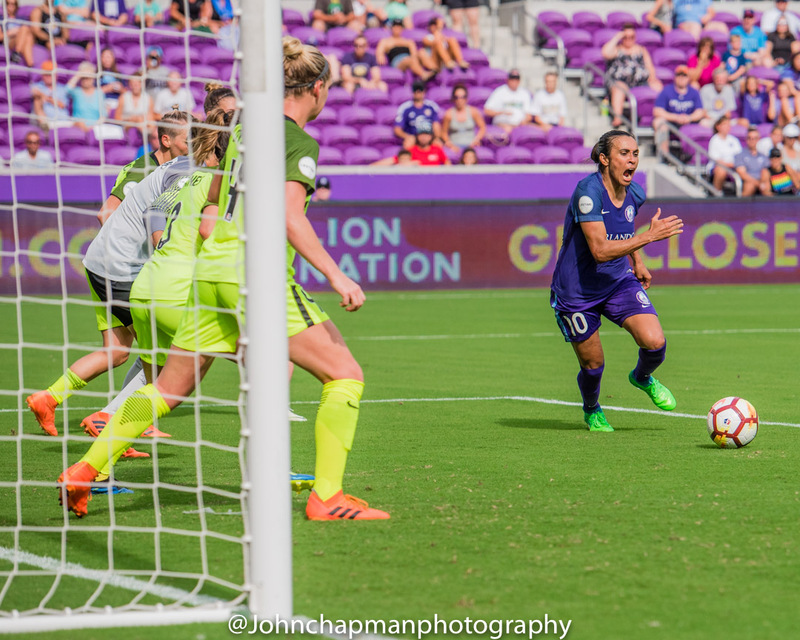 It was Pressley’s first goal of the season and second career goal, both coming in purple at Orlando City Stadium. 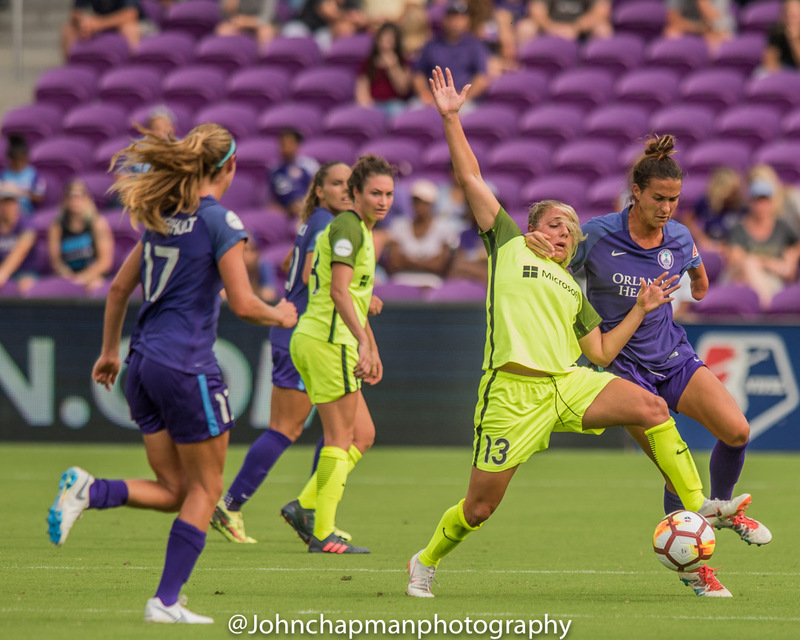 Early in the second half, Reign FC’s Jodie Taylor slipped into the box and attempted to shoot around Orlando goalkeeper Haley Kopmeyer. 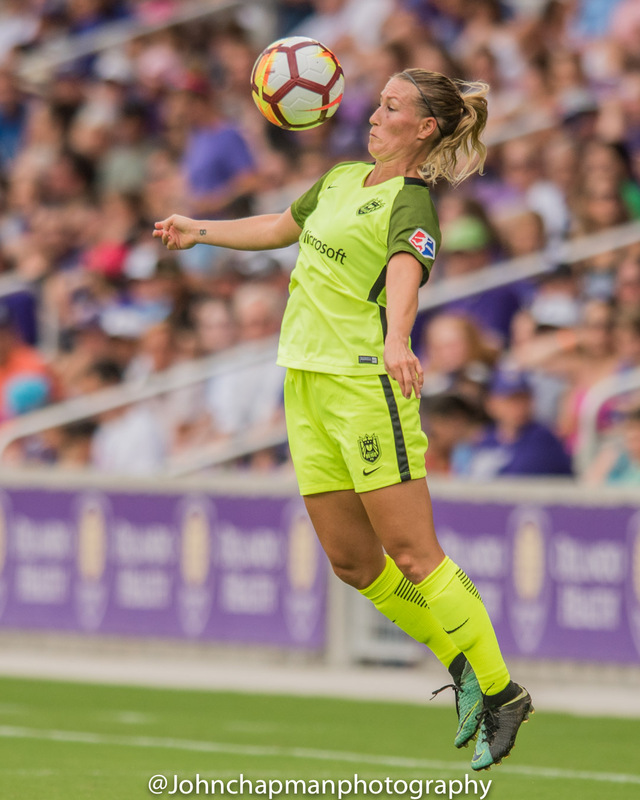 But Pressley came up big again, this time on the other end of the field, blocking the shot and then clearing it from danger. 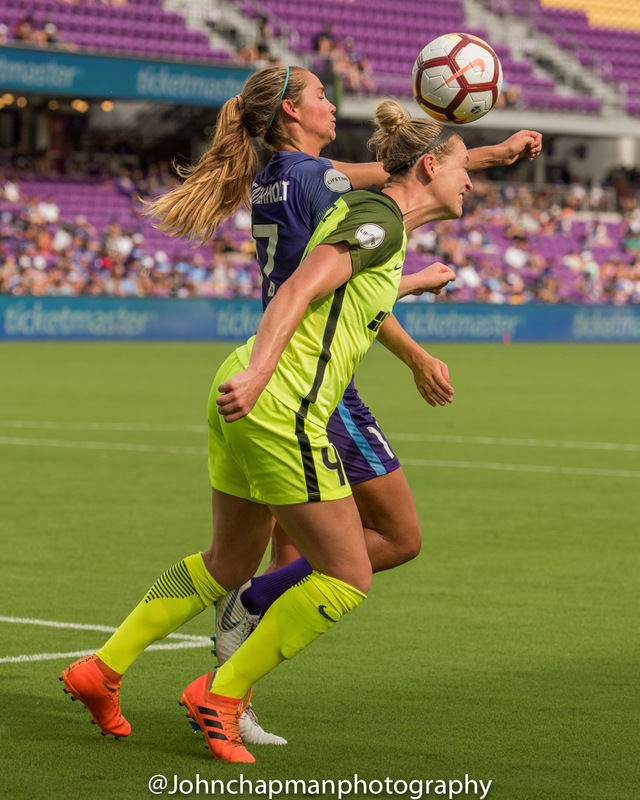 Kopmeyer made six saves in her second start of the season. 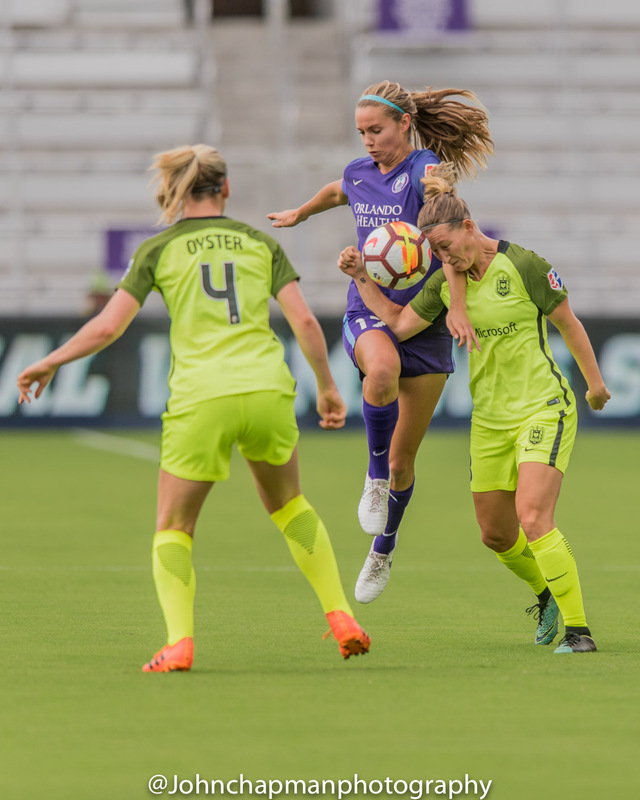 Her first came against the same Seattle side, her former team, in a scoreless draw on June 3. 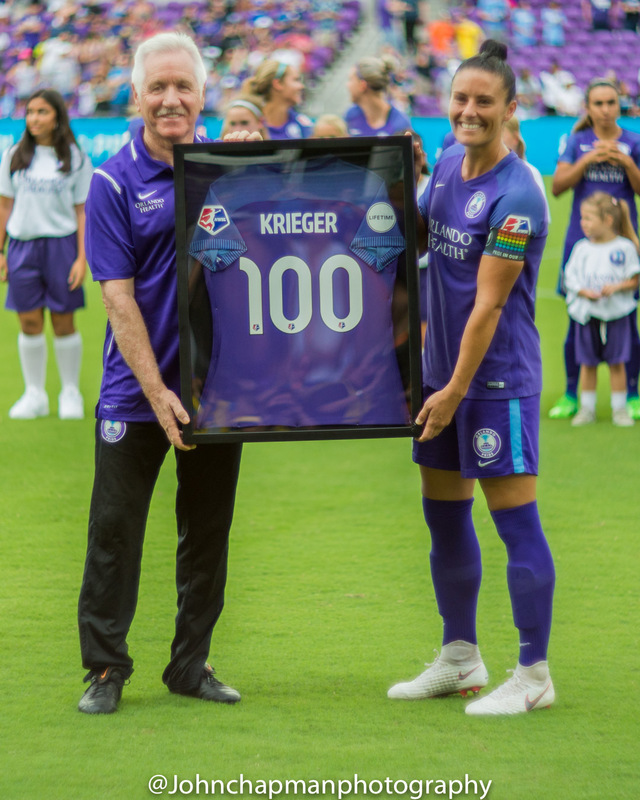 The game also marked the 100th match for Pride defender Ali Krieger. 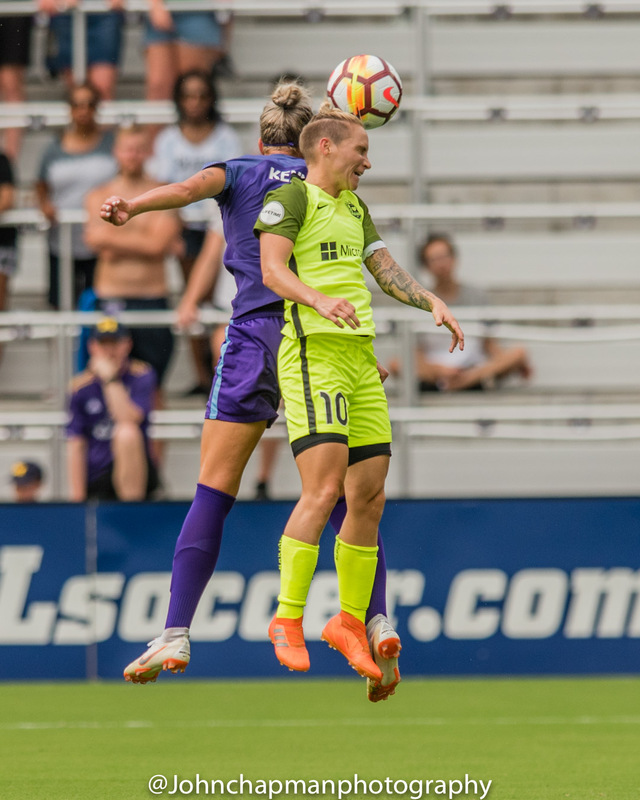 Prior to an injury earlier this season that sidelined the defender for four weeks, Krieger had played 3,227 consecutive minutes, which was the league’s longest active minutes streak at the time. 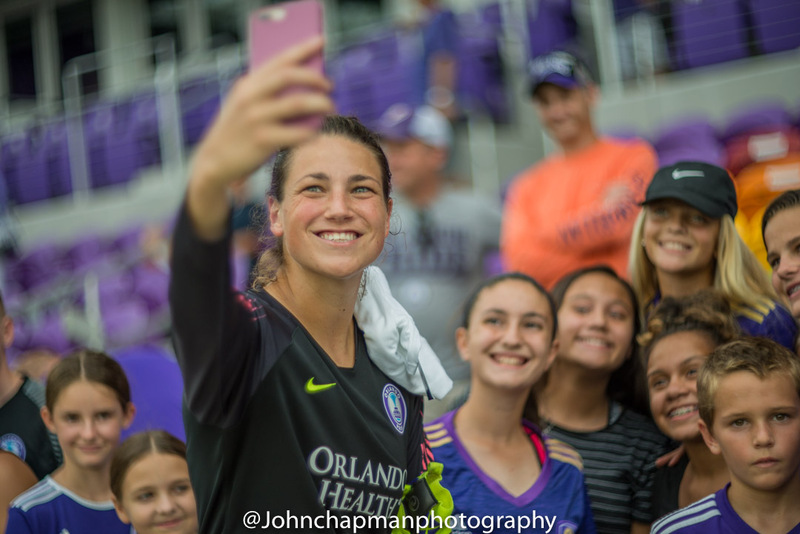 In 2017 she played in every single match for the Pride and was the only player on the roster to play every minute. 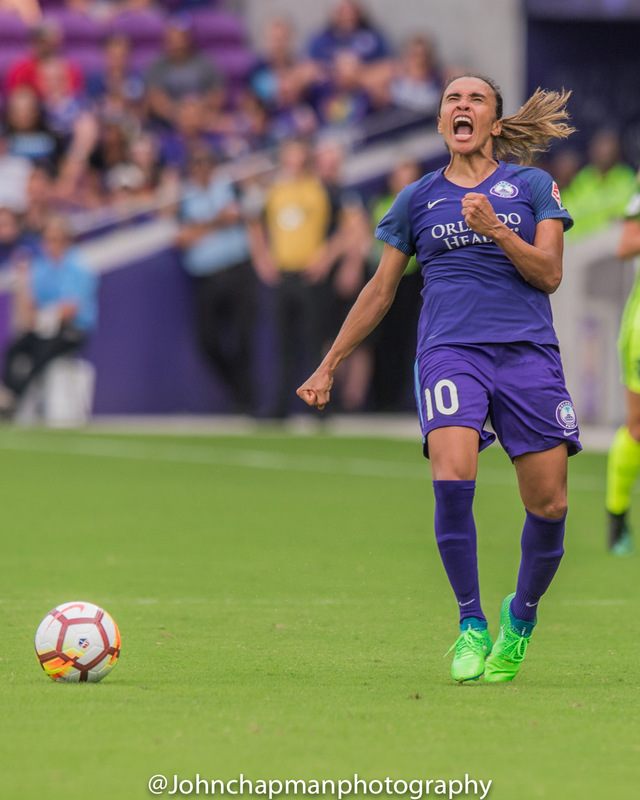 In her five years in the league, she has played in at least 75 percent of the matches each season, with the exception of 2015 when she won the FIFA Women’s World Cup. 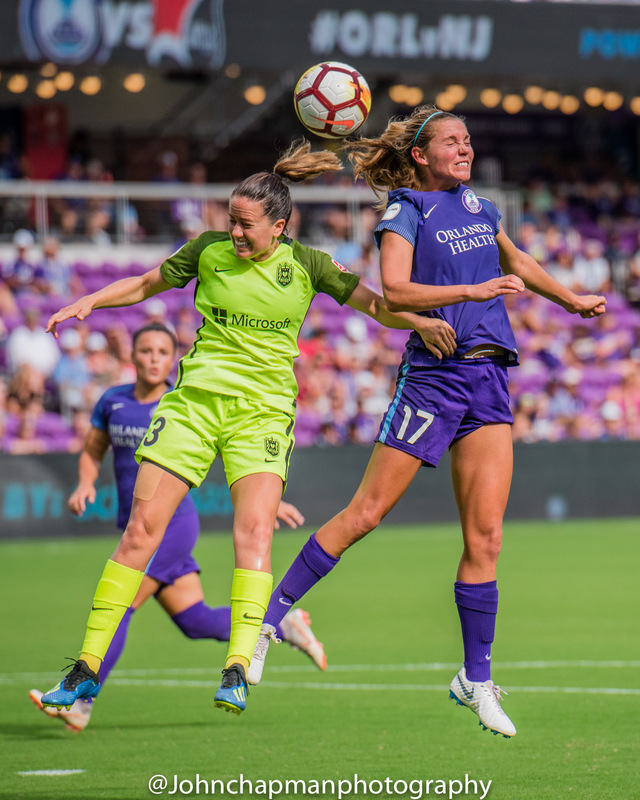 The Pride will see two weeks before their next match, returning to Orlando City Stadium on Aug. 5 to take on Sky Blue FC. 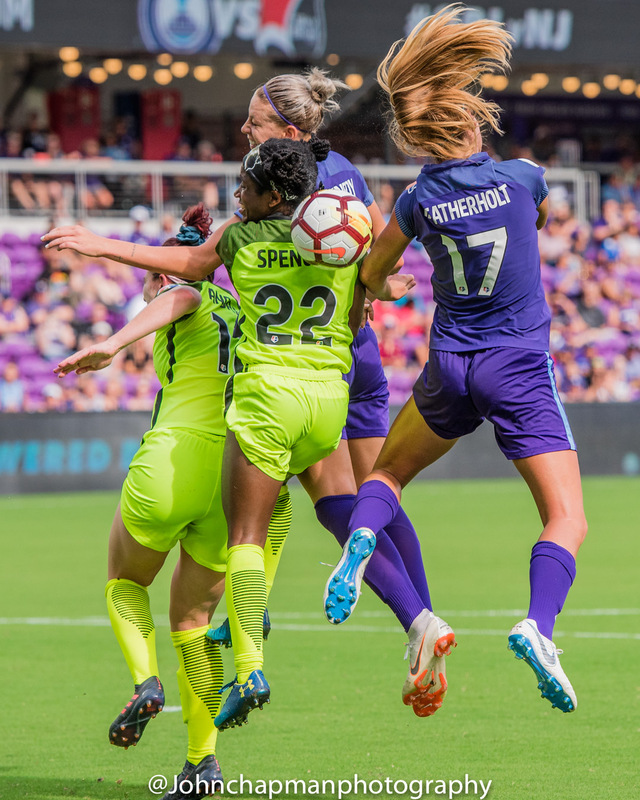 The NWSL will observe an international break, during which numerous athletes will compete in the Tournament of Nations. 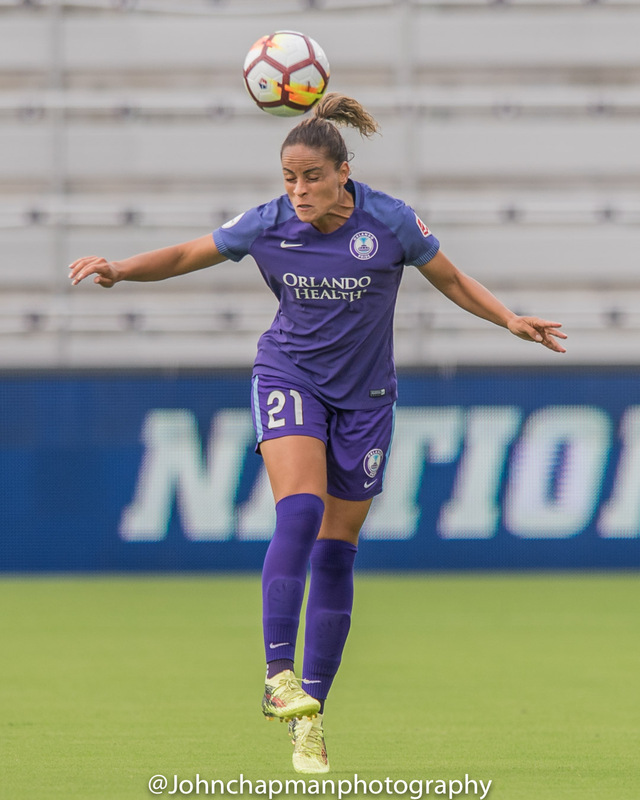 During the break, Pride players Alex Morgan, Ashlyn Harris, Alanna Kennedy, Emily van Egmond, Marta, Monica Alves and Poliana will all compete with their respective national teams.